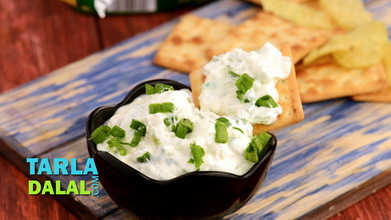 Opt for this low-fat, high-calcium dip to accompany your snacks, to make the most of the nutrients while being nice to your waistline! 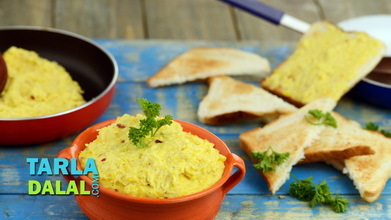 The Suva Paneer Dip is also easy and quick to prepare. 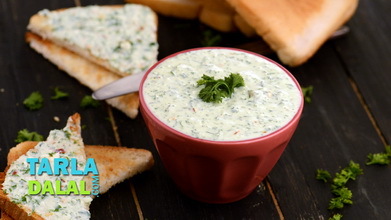 Curd and paneer are mixed well and dill leaves are added for a nice herby flavour. 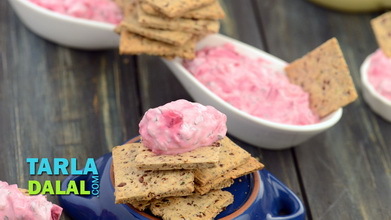 This aromatic dip tastes splendid with baked chips or whole wheat breadsticks. 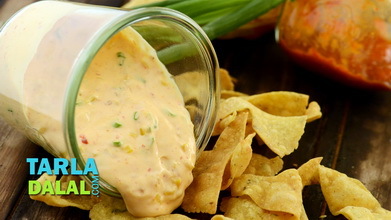 Combine the curds and salt in a bowl, mix well and keep aside. Put the milk to boil in a deep non–stick pan. When it starts boiling, add the salted curds, dill leaves and green chillies and mix well. Remove from the flame and stir gently till the milk curdles. This would take approximately 2 to 3 minutes. 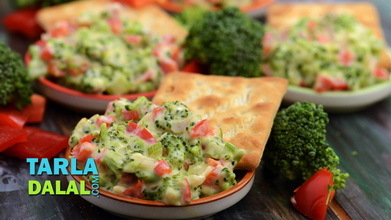 Strain it using a strainer, discard the whey and keep the suva-paneer mixture aside to cool slightly. Add 2 tbsp of milk to the suva-paneer mixture and blend in a mixer till smooth. Referigerate for at least an hour. 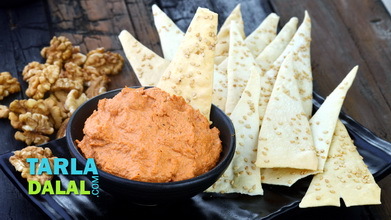 Serve chilled with baked chips or whole wheat breadsticks. At step 4, if the milk does not curdle, then cook the mixture again for a minute. 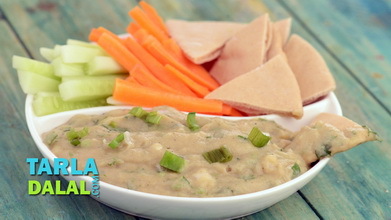 The whey remaining behind at step 5 can be used to make dal, soups or knead the chapatti dough.